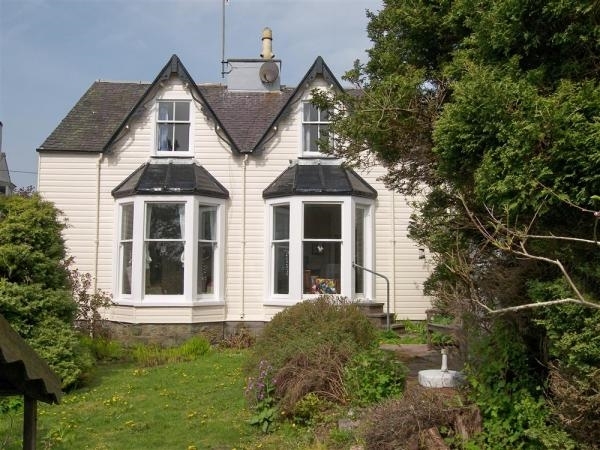 Just a two minute walk to the safe sandy beach at Rockcliffe, the house provides original shabby chic holiday accommodation which is spacious and comfortably furnished. This is an ideal property for a family holiday with no airs and graces so that you can relax at leisure. 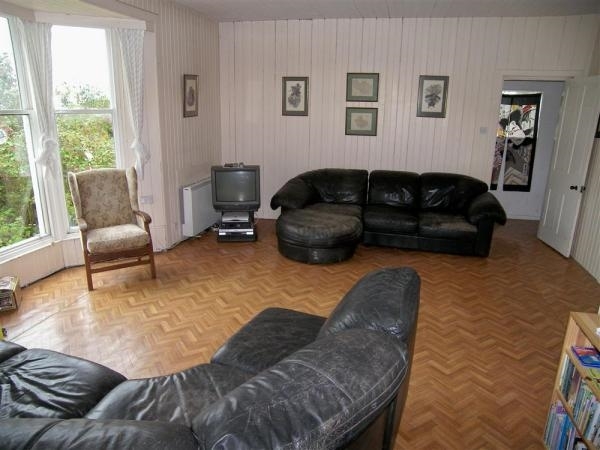 Apart from the large living room there is a large utility area to the rear of the house containing the washing machine and drier and is ideal for drying beach wear and safe storage of canoes, bikes, golf clubs and wet weather gear. July 2018 - 4 star review - Loved the property, lots of room, not too posh. Could do with letting holidaymakers know that there is no parking at the house. (note you can park outside to unload, free parking is close by). June 2018 - 5 star review - My wife and I plus our daughter, her husband, their three lively children (aged 11, 9 and 6) and dog spent an idyllic week ate Mossdale. It was perfectly located and easy for the children to run up and down to/from the beach. 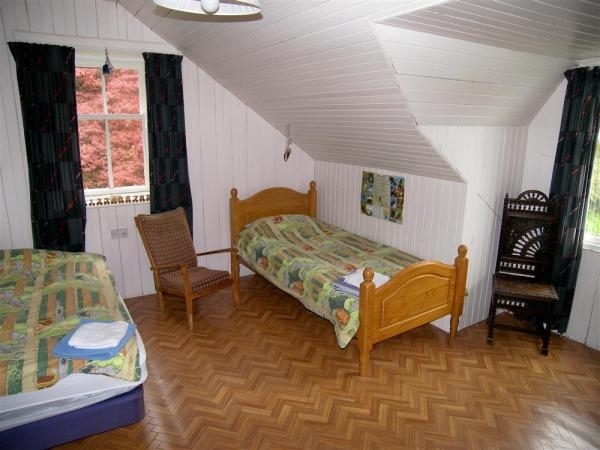 The large main room easily accommodated the seven of us for meals and evening games. 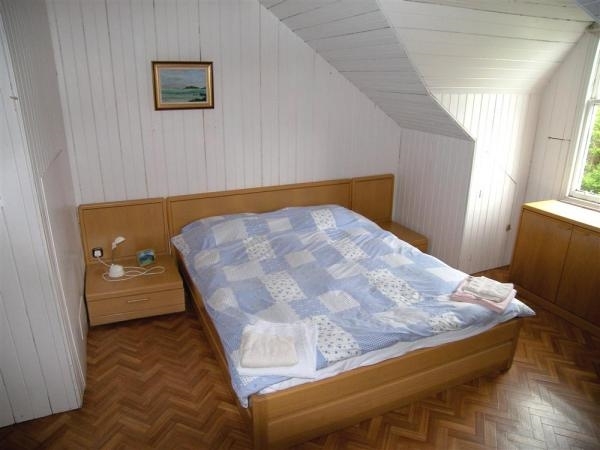 Three large bedrooms meant the four adults and three children wearer very comfortable. We didn't need to worry about the children making a mess et. Having two bathrooms - one up, one down - was a great help. October 2017 - 4 star review - Pros: spacious, cosy even in October, traditional, near the beach, lovely walks, peaceful, nice secluded garden. Cons: no parking right outside house, only a window door leading out to back garden which was hard to lock and unlock, dated decor, bit run down and could do with tic. Overall we had a lovely weekend for four adults, three kids and a dog. If you prefer luxurious accommodation then Mossdale is not for you! But if you want a spacious house in a lovely location then it is fine for a weekend. 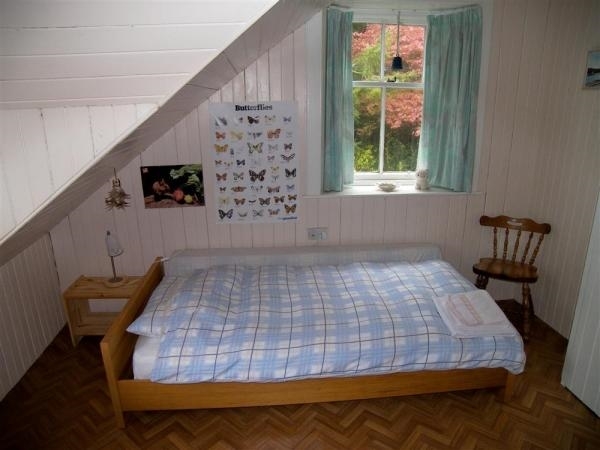 Accommodation for 7 on two floors: Ground Floor; Hall; Living/Dining Room with wood burning stove and access to the garden; Kitchen; Utility area; Shower room with shower; wash basin and WC. First Floor: Landing; Family Room with 1 Double and 1 Single bed; Double Bedroom; Twin Bedroom; Bathroom with bath, wash basin and WC. Services: Electric heating * Bed linen and towels provided * Dishwasher * Fridge & Freezer * Electric cooker and microwave * Washing machine and Drier * Colour TV with DVD player * Sky TV * Wifi * House telephone* Poor mobile reception * Wood burning stove with logs provided * Travel Cot & Highchair * Small secluded garden (access from living room) with some furniture * Car parking nearby just along the road * 2 well behaved dogs with own bedding welcome. Sorry - No smoking permitted. Extras: £20 per dog per week. Further logs are available at £5 per bag via an honesty box.